Carrots are often so present in our lives that we forget to take notice of them or use them as the highlight of a meal. Carrots are plentiful at this time of year, having been harvested in the fall and put in cold storage where they keep well through the winter. There are a multitude of uses for carrots: soups, salads, side-dishes, carrot cake, carrot muffins, carrot souffle, carrot pudding, carrot bread, and as an addition to roasted vegetables, to name a few. Today I have two recipes for carrots. 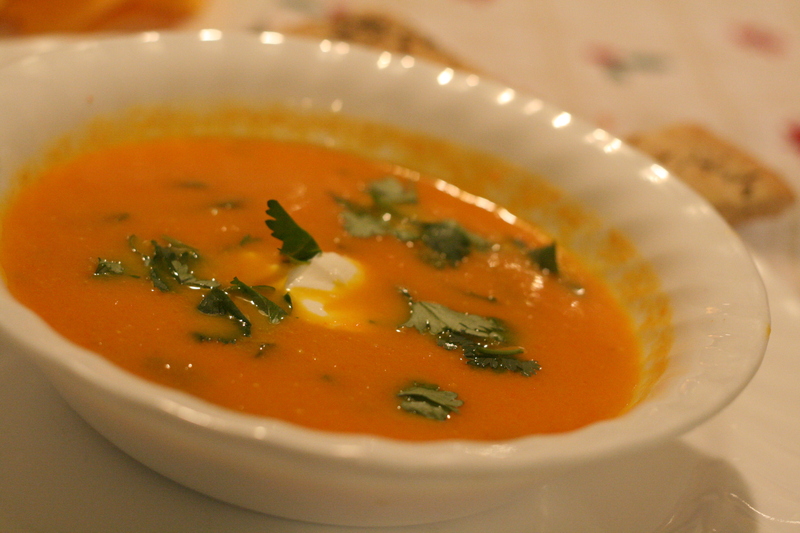 The first is Carrot & Coriander Soup or perhaps it would be better "Americanized" by the title Carrot & Cilantro Soup. Cilantro, in most of the world, is known as coriander. This soup is a gentle, almost sweet soup, flavored with ground coriander and finished with fresh cilantro/coriander. Heat oil in a large soup pot. Add chopped onions and carrots and cook over medium heat until beginning to soften -- 4-7 minutes. Stir in the ground coriander and cook for another minute. Add the vegetable stock, just covering the vegetables. Bring to a boil and simmer until the carrots are tender. Puree soup in a blender or with a hand blender until smooth. Return to pan, reheat briefly. Add salt and pepper to taste. Stir in the fresh chopped cilantro and serve with a dollop of sour cream, creme fraiche or a bit of heavy cream poured over. Garnish with additional chopped cilantro. Serve with bread and salad. This carrot salad is a quick dish I've made time and again, especially when I don't have any fresh greens in the house and need a salad to accompany dinner. In a medium bowl, whisk together oil, vinegar, mustard, and sugar; season with salt and pepper. 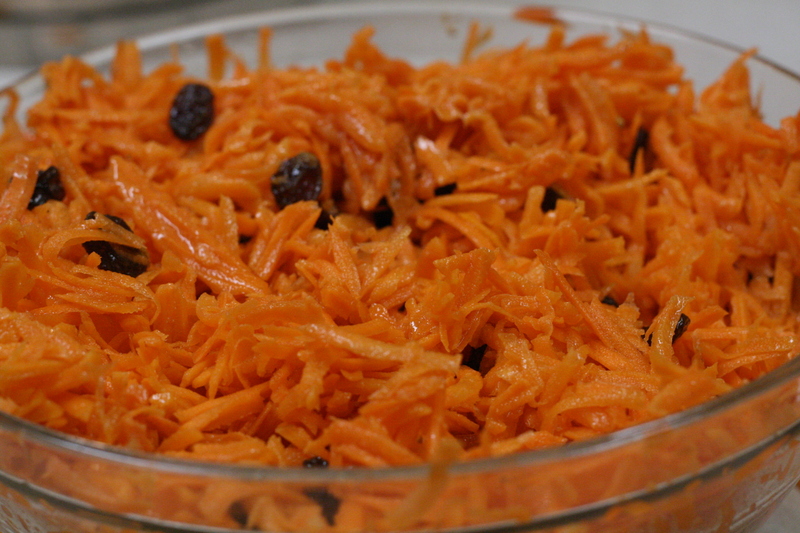 Add carrots and raisins. Toss to combine.